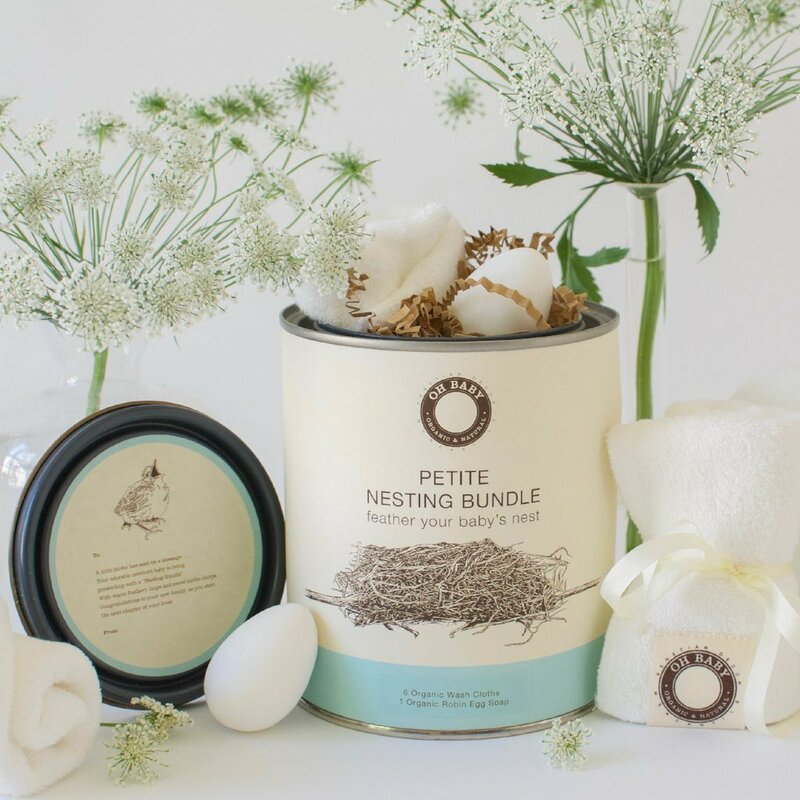 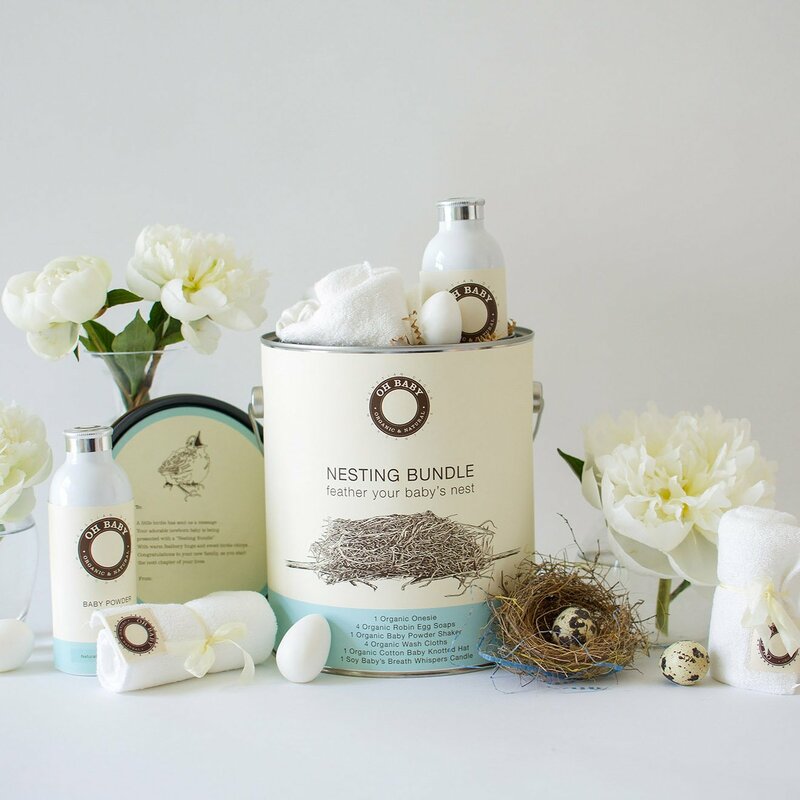 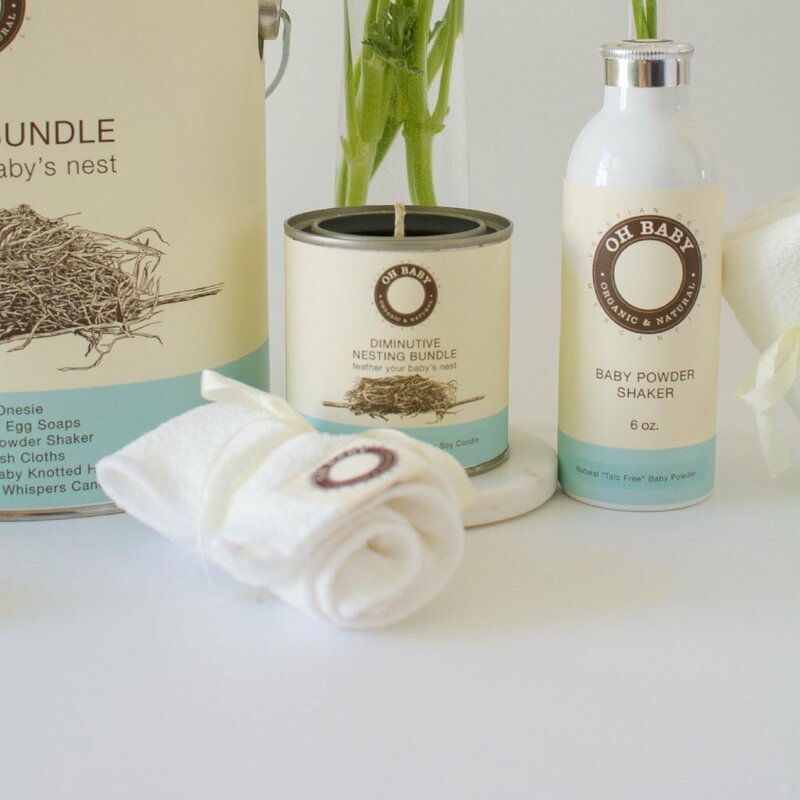 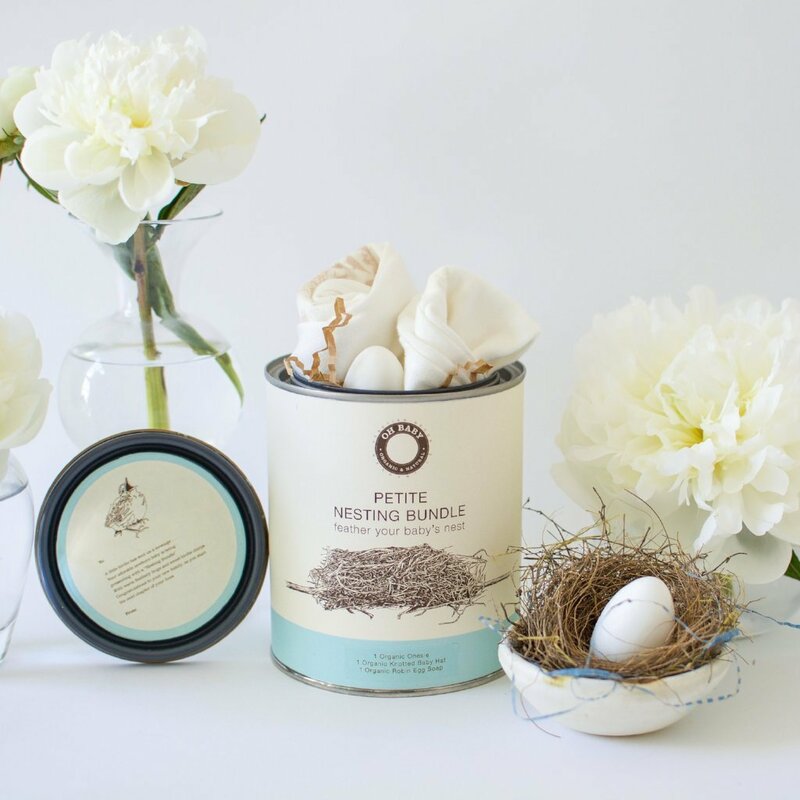 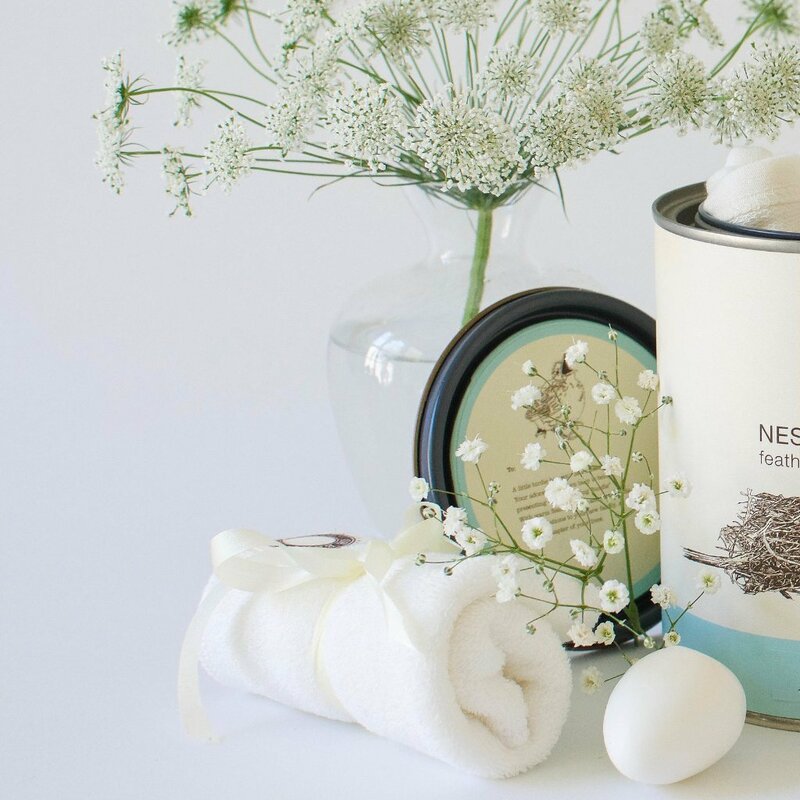 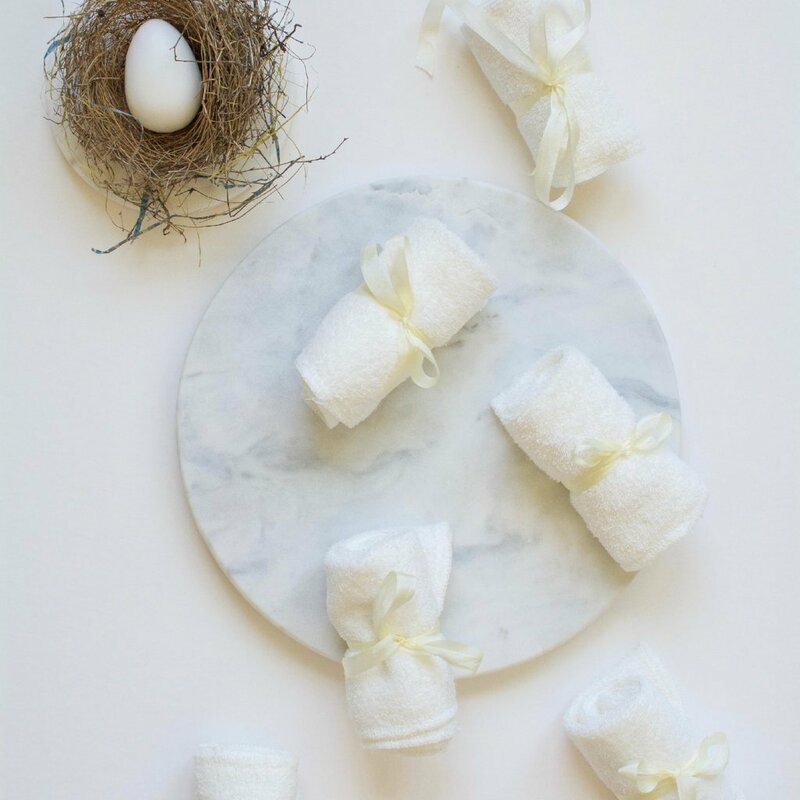 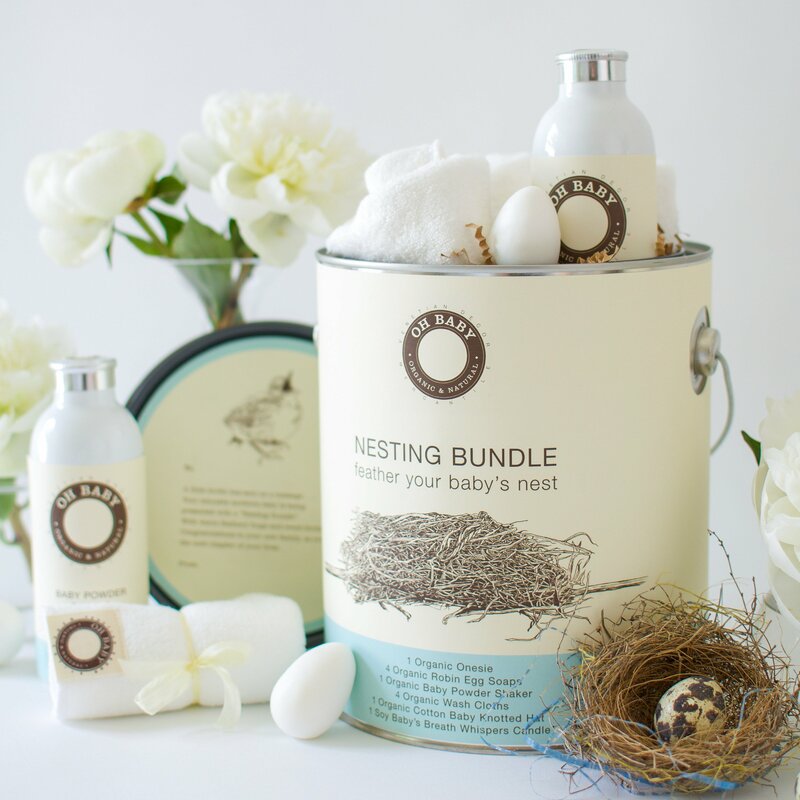 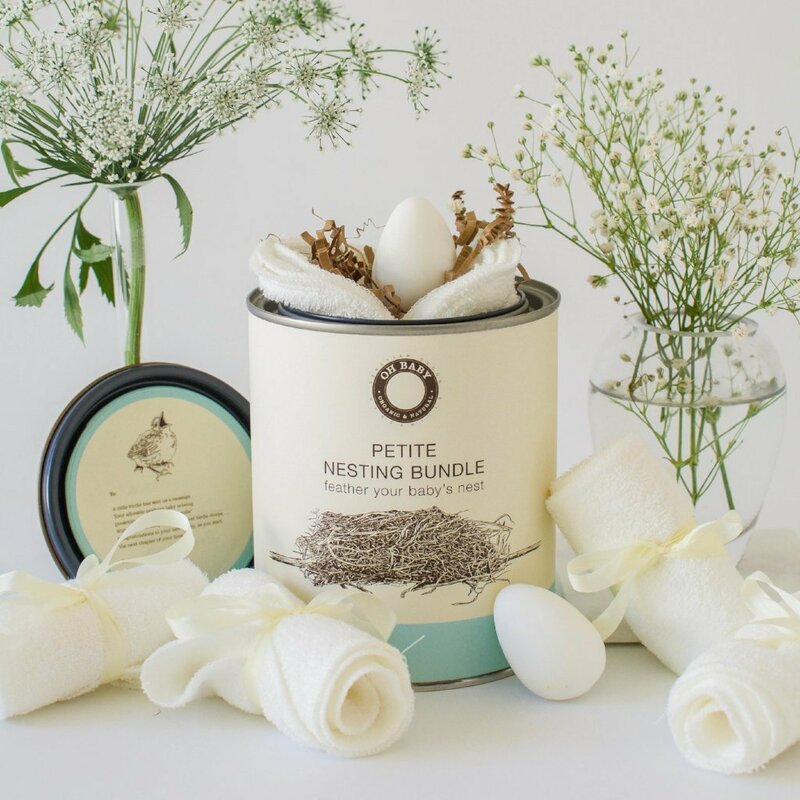 Our Petite Nesting Bundle™ is a gracious and elegant gift for any new parent. 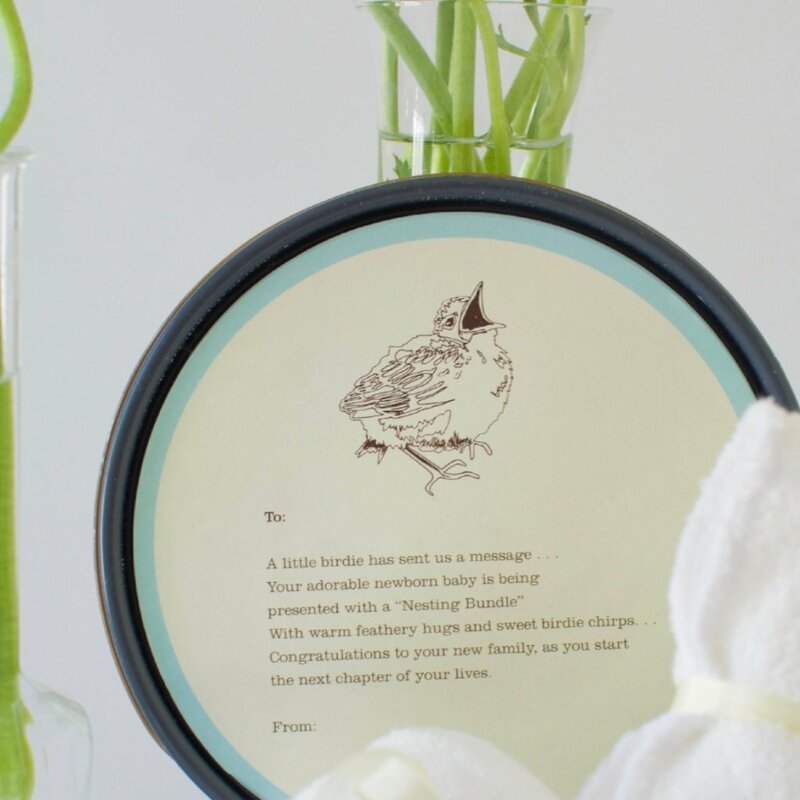 With three of our signature goods included, your loved one will feel cherished and supported as they take on an all-new life with their newborn. 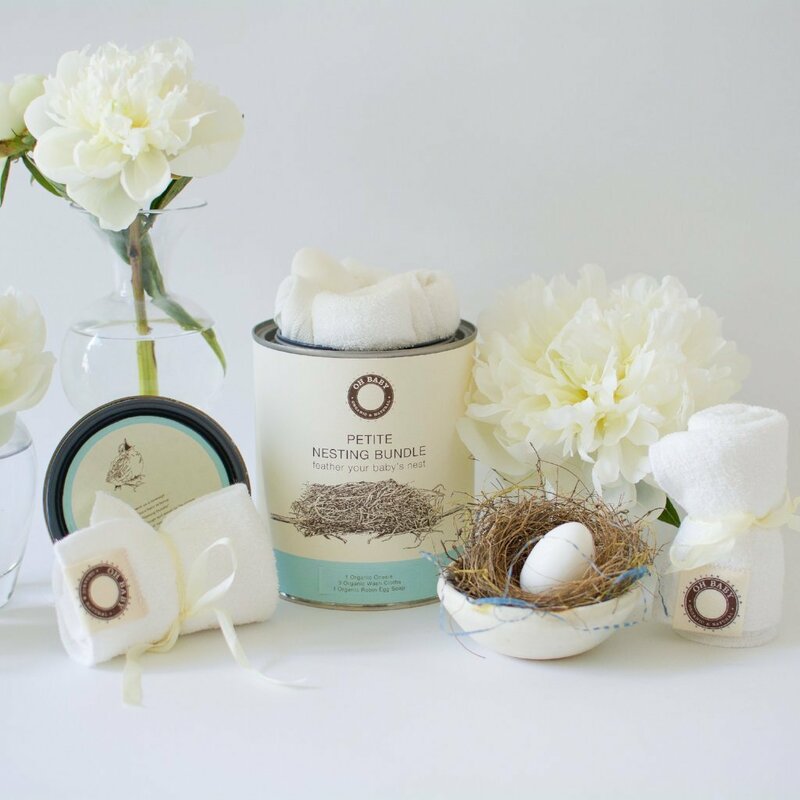 Each item included is designed to keep babies cozy and cared for, with safe ingredients and vintage-inspired designs. 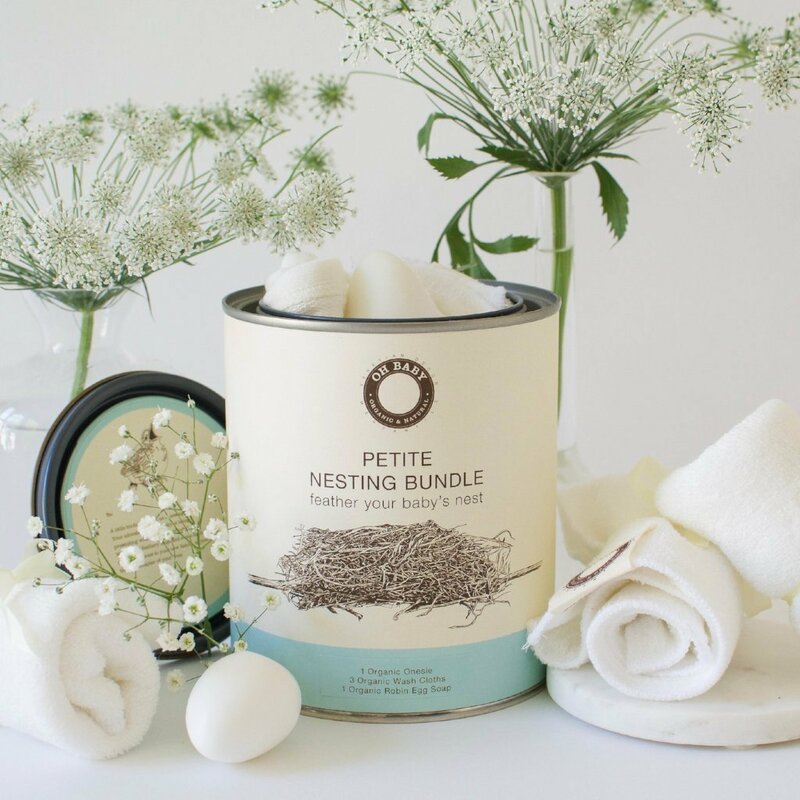 We block print each design by hand with VOC free paints, perfect for baby goods. 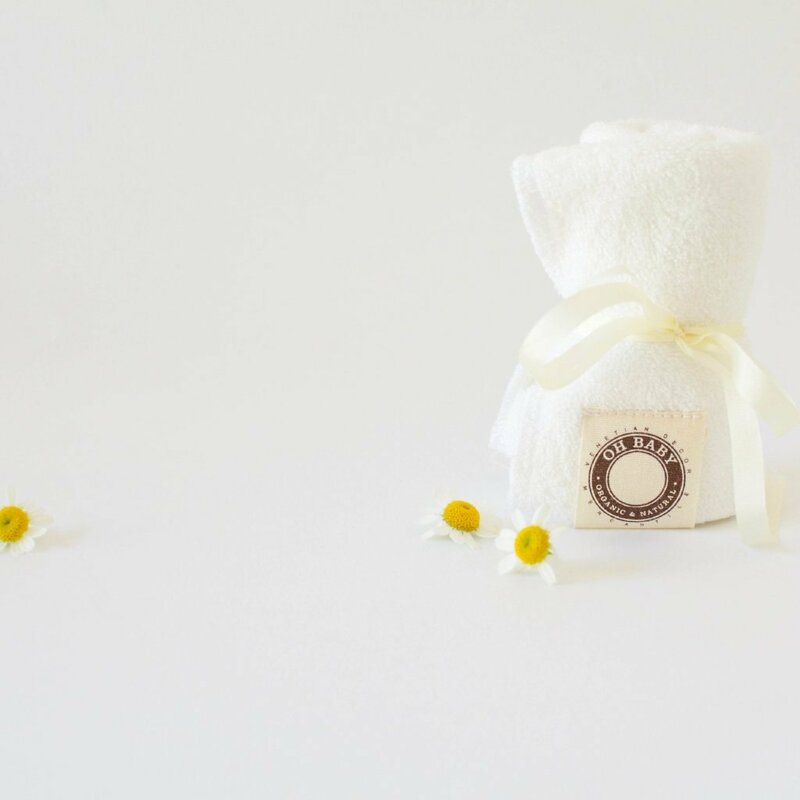 You get to choose from a thoughtful selection of vintage-inspired designs for the front. 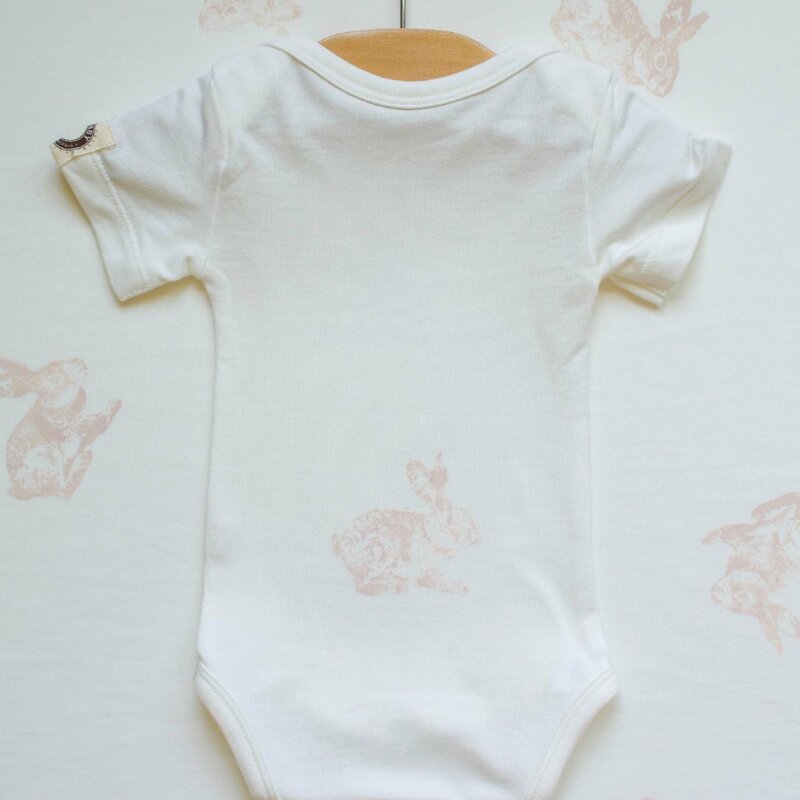 Or, opt for an unprinted neutral onesie to easily mix and match with your favorite baby outfits!